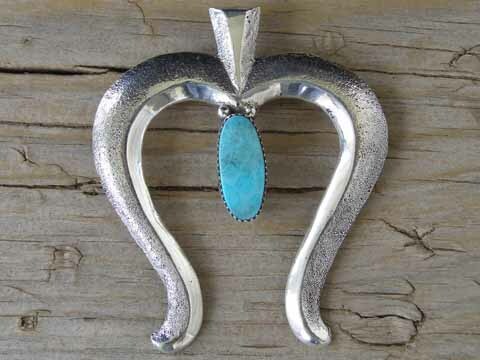 This is a classic Navajo sandcast naja pendant set with an oval stone of Kingman turquoise. This pendant has a shepherd's hook on back for stringing it on a chain or on beads. Hallmarked E.S. Mitchell and stamped Sterling on back.